Official Route 66 & Standin' on the Corner gifts. Local artisan market and gallery. 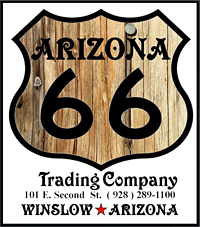 Endorsed by the Winslow Chamber of Commerce, The Route 66 Association of Arizona and the Standin' on the Corner Foundation. We are "ON THE CORNER" in Winslow, Arizona. 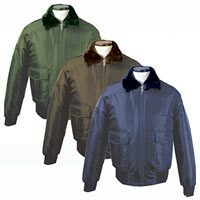 Law enforcement, Fire, Security, Medical Uniforms, school or group uniforms. Misc. 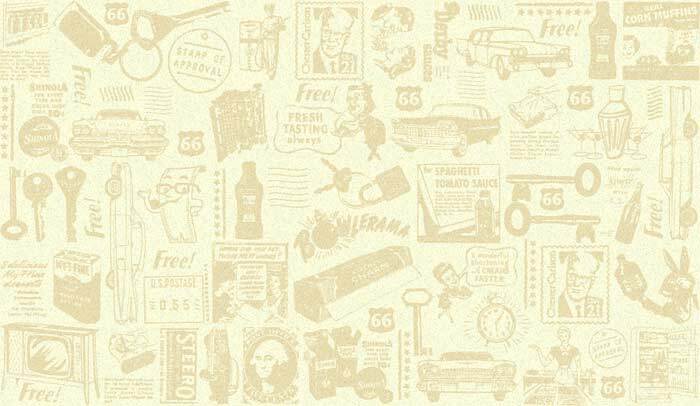 Route 66 shirt/hats Apparel. 950 North Grand Canyon Blvd. Breakfast, lunch and dinner restaurant on Route 66 in Williams, Arizona. Will sell all types of Route 66 memorabilia. 141 West Bill Williams Ave. The Canyon Motel & RV Park is fast becoming one of the most talked about and most highly recommended unique and fun lodging spots in Northern Arizona. You will experience our personable and nostalgic guest service with a smile as you enjoy our Clean, Comfortable and Reasonably Priced Accommodations. Our Route 66 Motel is an original Motor Court built in the 1940s. The flagstone walls give a rustic charming feeling of an intimate cabin on ground level with parking right outside your door. We also have two 1929 Caboose train cars and three rooms in our Pullman Passenger train car for a most unique lodging experience! These accommodations require you to climb a few steps, with parking once again right outside your door. All of our rooms have a refrigerator, microwave and coffee maker. Also cable TV. Some of our rooms have shower & tub combinations while others have only showers. We do not have telephones, but we do have WIFI throughout the property at no extra charge. The RV Park is equally charming with 47 spacious sites which blend beautifully into the surrounding forest. All sites offer 20, 30 & 50 amp service with full hookups including free Cable TV and WIFI. Our property is on 13 pristine acres surrounded by huge ponderosa pine trees in the Kaibab National Forest. We have an Indoor Heated Swimming Pool, Gas BBQs and a Gas Fire Ring for roasting marshmallows on our flagstone patio April thru October. Enjoy the newly renovated motel rooms and beautiful scenery at Romney Motel & LLC Arizona. 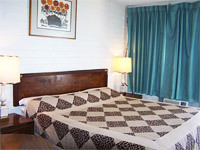 Our Seligman motel has 30 rooms with a wide variety of amenities and great views. Located between Kingman and Williams, Seligman is the birthplace of Route 66. We are just about an hour from the Sky Walk, which is the newest attraction in the Grand Canyon. Contact our historic motel in the quiet town of Seligman, Arizona, for affordable motel/hunters lodge reservations. This motel is near the Grand Canyon and the Sky Walk. We are two hours away from Sedona. We are only 90 miles to the Grand Canyon and only 70 miles to "Sky Walk" the newest Grand Canyon attraction and close to the The famous Black Cat bar. This is an ideal place for Supai Hikers and we are convenient to tourist buses in Seligman. Small pets welcome. Daily or extended stay rooms available. We are close to shopping areas, churches, restaurants, antique shops in the heart of downtown Seligman. Amenities: Fridge, Microwave, Hair Dryer, Wireless Internet and Wi-Fi, Air-Conditioning, Heaters and Iron. Themed Route 66 memorabilia store located on Route 66 in the quaint town of Seligman Az. I started out making soy candles, all natural, and wax melts. I've expanded to RT 66 signs. And now infinity scarves. I have a website: handmadebyjen.chrisandjens.com. I'm right off RT 66 in Mohave County/Kingman, AZ. 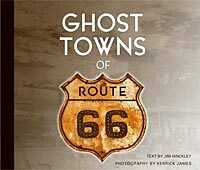 Signed copies of books written by Jim HInckley, including the latest release, Ghost Towns of Route 66, and photographic prints. Motorcycle accessories and biker chic shop. 12475 N Rancho Vistoso Blvd. A variety of fantastic Route 66 puzzles, as well as, other fun and beautiful traditional & children's puzzles! Award Winning Documentary of Historic Route 66 Arizona. Copyright © 2011-15 Webinar Resources. Free url shortener and QR code generator at www.mobexme.com.